Prime Minister Hun Sen speaks at the graduation ceremony at the National Institute of Education in Phnom Penh on Monday, in photograph posted to his Facebook page. 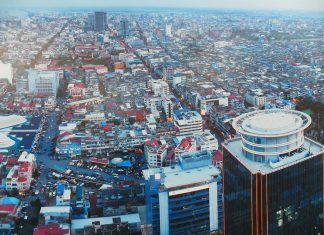 “We are not the people’s bosses but are the ones who serve the people honestly,” Mr. Hun Sen said at a graduation ceremony in Phnom Penh. Though the CPP won roughly 70 percent of the commune chief spots in the June 4 commune elections, it also needed to recognize that it had lost hundreds of communes it previously held because voters were tired of poorly behaved officials, the prime minister said. A “small number” of highranking officials have protected their wives and children—or vice versa—from legal action in cases where they had disobeyed the law, according to the prime minister. Mr. Hun Sen cited the example of Duong Udomchorvin, better known as Duong Chhay, the son of a brigadier general in the Interior Ministry’s immigration department who was arrested in April 2015 after scuffling with another rich, young businessman inside a Phnom Penh tattoo parlor. The prime minister said he had called Mr. Chhay’s father, developer Duong Ngieb, and ordered him to surrender his son to police or lose his government post. 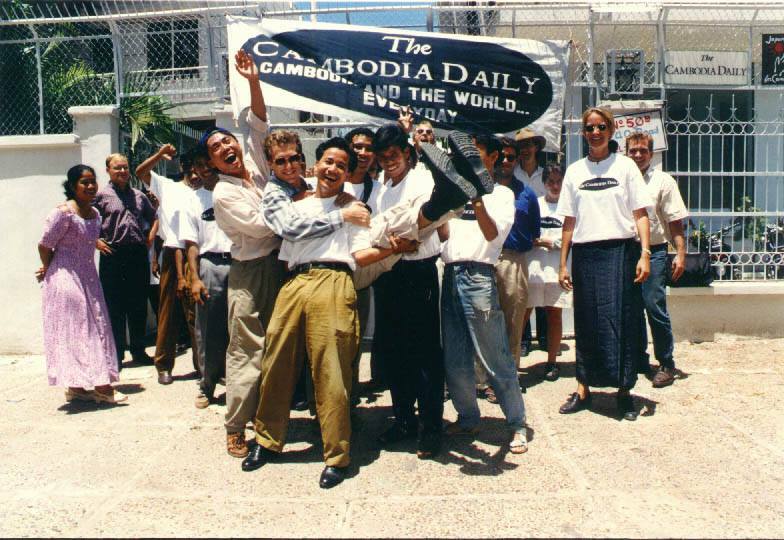 Mr. Ngieb complied and Mr. Chhay served his sentence and became more philanthropic after his release, Mr. Hun Sen said. The prime minister’s own family has been accused of past wrongdoing. A nephew, Nhim Sophea, was acquitted in 2004 of involuntary manslaughter after allegedly shooting a passerby to a 2003 car crash. At the time, Mr. Hun Sen said his kin deserved prison time. Another nephew, Hun To, denied a report by Australian newspaper The Age linking him to an international drug smuggling and money laundering ring. More recently, in March, gamblers said a cockfighting ring located at the house of the prime minister’s brother, Hun San, had reopened for business. Earlier this month, police said the son of a senior Interior Ministry official would not face charges after firing shots into another car because of his father’s high rank. 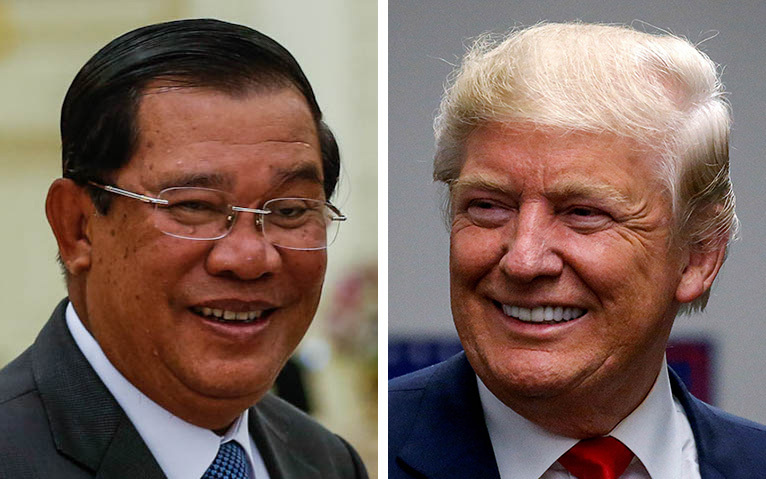 Mr. Hun Sen also urged institutional changes, saying lower officials needed to stop sugarcoating bad news to superiors. “If they cannot share the truth at the local level, how could we know the truth?” he asked. 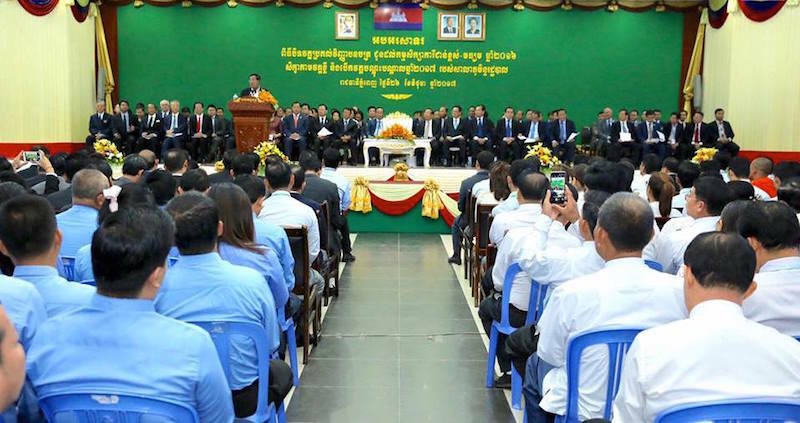 CNRP President Kem Sokha lauded Mr. Hun Sen’s rhetoric while meeting with supporters in Tbong Khmum province, saying self-serving types were better off working in the business sector. “We are politicians, so we must act based on the people, not based on ourselves,” he said. The CNRP wants “civil servants, all armed forces not to be the tool of the political parties but to serve the people, to serve the people without discrimination” based on political affiliation. The prime minister made a similar call for reform in the wake of the 2013 elections in a marathon six-hour speech, though critics say the changes made since then have been cosmetic. 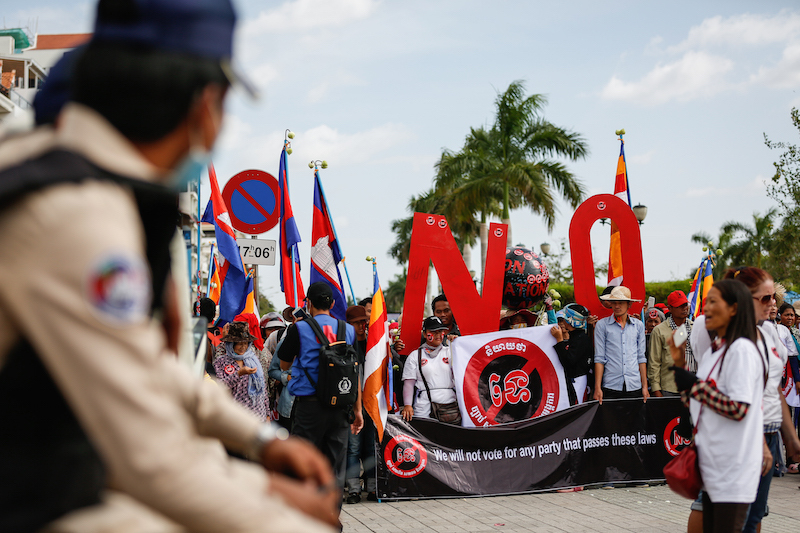 Markus Karbaum, a German political scientist with a focus on Cambodia, said the speech exposed a dilemma for the prime minister, who wanted reform but needed the compliance of officials threatened by it.